Browse: Home / 2016 / March / 14 / A bike/walk-friendly community? Imagine that! A bike/walk-friendly community? Imagine that! 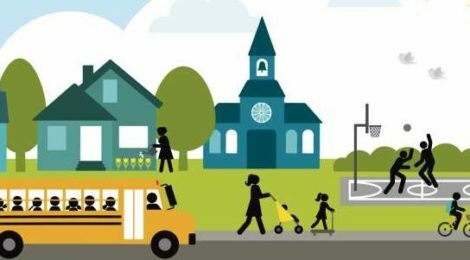 Planning and improving our communities to ensure people of all ages and abilities can safely walk and bike is a proven common denominator for solving many of the different personal and economic challenges we face as individuals and communities. Humans have a built-in desire to go places under our own power. We look forward to meeting someone along the street. We smile as we talk with one another face-to-face as life goes on around us. Do you (or other family members) like to walk or bike? If you believe safe walking and biking facilities for people of all ages and abilities should be embedded in the White Bear Lake area’s DNA for decision-making about transportation infrastructure, please go to the new NE Communities Bike Walk website to share your thoughts and learn about opportunities to help make the dream a reality for our community. ← You never promised me a rain garden?